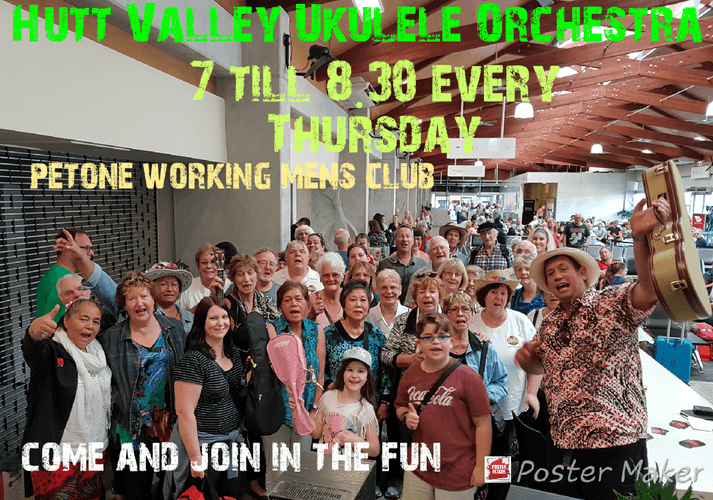 The Hutt Valley Ukulele Orchestra may be the upcoming event you’re looking for. Bring your uke and join us. Petone workingmen's. offers their facilities and hospitality to us at no cost so please support our home pub and wonderful Publican by planning to purchase a beverage and/or food at every jam you attend.